The Bahamas are a tropically perfect archipelago of 700 islands - 2,000+ if you count the small coral cays - famous for their dramatic history of pirates, smugglers and explorers. With so many islands you can imagine the potential. And the variety of what visitors can get up to. And how many perfect beaches that means. 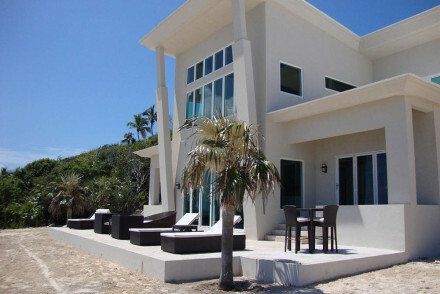 Along with numerous possible ways to enjoy yourself on the Bahamas, comes the numerous accommodation options. 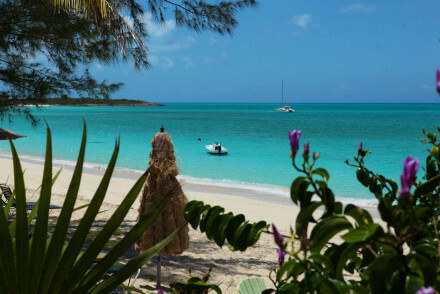 And the best places to stay in the Bahamas range from over-the-top themed resorts to peaceful private islands, to guesthouses on an isolated beach. Technically the Bahamas are coral atolls and islands rising out of the Atlantic, but most of us think of them as Caribbean perfection. And while they have the bright white sand and bright turquoise waters of the Caribbean, they have a culture all of their own. English is the official language, but it might not be the English you're expecting. The Bahamas is really a very independent, but very friendly, kind of a place. If you're here for a beach break, you'll find plenty of choices, and the same goes if you're here to have a fun holiday and enjoy some dancing and some sunshine. The Bahamas also offer every watersport known to man. And the interiors of the larger islands, especially the largest island, Andros, offer exciting, and, you guessed it, varied terrain for explorers - from mangrove swamps to primeval forests to palm savannahs. Long Island is more dramatic geographically than its neighbours - it even has cliffs! - and it's home to Dean's Blue Hole, one of the deepest around. Cat Island boasts the Bahamas highest mountain - which is 63metres high, and a system of underwater caves and channels. whereas the Exumas are perfect for some island hopping. whilst the Abaco Islands are a haven for divers and sailors. The capital, Nassau, on New Providence Island, is busy with movement, sounds, colours and smells. Nassau has the lion's share of the Bahamian population, restaurants, shopping and this is also where you'll find some of the oldest Caribbean beach hotels. Founded by the British in 1650, Nassau is probably better known, historically, for its connection with piracy, and especially Blackbeard, who challenged British rule here. This is where you’ll find the cheesy but fun pirate museum, plus serval impressive forts and the Atlantis Waterscape (on Paradise Island) and a vast open-air aquarium. If you're interested in the cannonball-rich history of the Bahamas there are numerous forts scattered about, and several museums, including the Pompey Museum of Slavery and Emancipation and the Pirate Museum. You might also want to visit San Salvador, which might be the place where Christopher Columbus landed in 1492 when he made it to the West Indies. Or Samana Cay, which might also have been the place… The Bahamas also offer the perfect backdrop against which to swim with dolphins, to learn to sail or to go parasailing. And for pretty much every watersport you can imagine. While not a possibility for every visitor, the Bahamas are best approached by sea, but mostly so that you can enjoy the idyllic island views. Nassau is one of the world's busiest cruise ship ports, but you'll find ports on all the inhabited islands. And of course Nassau has an airport and is home to several of the best places to stay in the Bahamas. The beaches - but you can’t miss them, there are stunners everywhere you look. If you want a beach all to yourself try the 200-odd Exuma Cays. Great Exuma and Little Exuma are known for their laid-back atmosphere and gorgeous natural surroundings. The cays themselves are known for being either perfectly pristine or dotted with ultra luxurious private island resorts. Seeing in, out, on top of, and as much of the ocean as you can. You might want to take a trip to the private Blue Lagoon Island and snorkel through the brightly coloured coral reefs, for example? Or try your hand at any number of water sports activities including jet skiing, kayaking, deep sea fishing, diving, snorkelling, sailing, windsurfing… the list continues. Come on in, the water is warm - like warm bathwater. If it’s sailing you want, the Abaco Islands are known for their reefs, spectacular viewed from both above and below the surface. See Nassau’s cheesy pirate museum. Visit Paradise Island’s Atlantis Waterscape. Climb Cat Island’s Mount Alvernia, which is topped by one of the world’s most scenic monasteries. And while you’re there see the 'Boiling Hole' a clear lake with odd tidal conditions which cause strange burps and bubbles, and lead to stories of this being the home of a sea monster! This is also a great place for seeing baby sharks and stingrays; and the underwater caves and channels starting at the Big Blue Hole. Dive Long Island’s Dean's Blue Hole, the world's deepest blue sinkhole, a wonderful place to go diving and surrounded by cliffs for those brave enough to jump into the water. 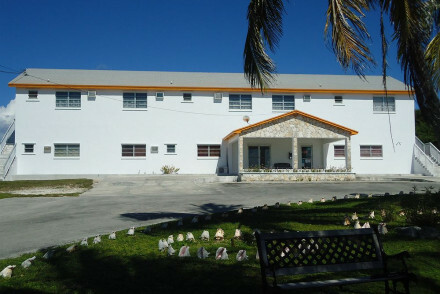 Head to Eleuthera’s Governor's House on Friday for the fish fry. Or admire the aquatic life in the waters - you can see turtles, sharks, dolphins, manatees, angelfish and many, many more species. Use our guide to the best places to stay in the Bahamas and start to plan your Caribbean getaway. The Graycliff Hotel is a characterful spot, right in the centre of town. 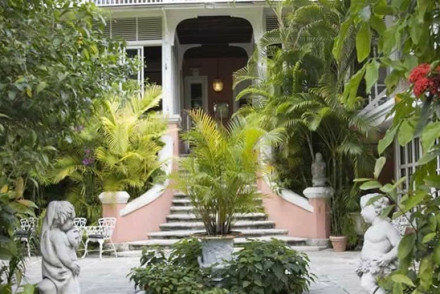 Rooms are packed with antique opulence, there are two pools, beautiful gardens and sun terrace plus a gym, spa, Bahamian restaurant, wine cellar and a cigar factory. 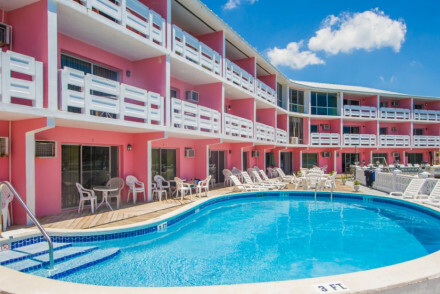 The Bell Channel Inn on Grand Bahama is an unmissable, bright pink hotel right on the beach and just out of Freeport. There are just 32 rooms, some with balconies or kitchenettes. There's also a pool, gardens, buzzy bar, and a dive shop. All from a starting price of just £61 per night. 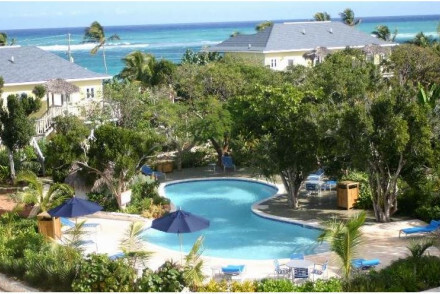 Pelican Bay is a large, elegant hotel, just metres from the beach. Guests share three outdoor pools, a large spa, gardens and a good choice of restaurants, and all starting for under £100 per night. Snall Hope Bay offers a collection of ocean front cottages done up with bright tropical print fabrics, pine furrnishings and private patios. 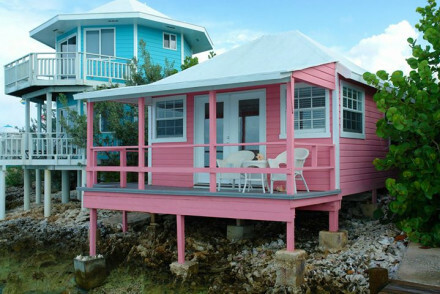 Eleuthera’s Pink Sands is a sumptuous, beachfront resort with 25 rooms and cottages complete with lovely private decks. The decor features mahogany, wooden floors and tropical shutters, so it feels a bit colonial? Then there’s a 26acre garden, a private beach, a library and a slick bar. Pineapple Fields is a collection of modern villas set around a pool and restaurant - through the villas have their own kitchens too. This is a particularly beautiful and peaceful spot. 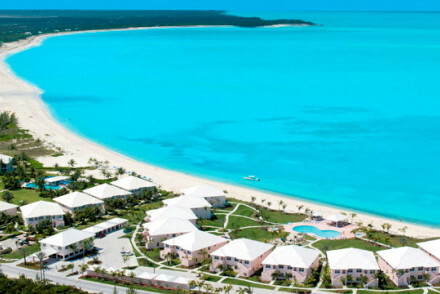 Turquoise Cay on Little Exuma is a tiny five star hotel - and, you guessed, it, it's right on the beach. As well as cool, creamily decorated rooms, there's a beautiful ocean-facing infinity pool, a sunset cocktail terrace and a small spa. 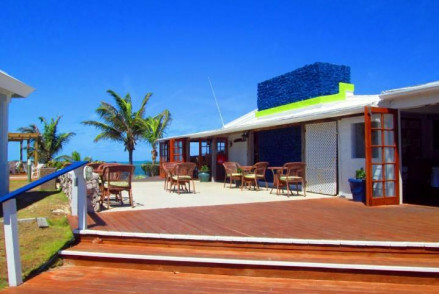 The Staniel Cay Yacht Club is a collection of pretty, colourful beach cottages with a barefoot-boutique feel and easy marina access. There are just 14 rooms and all guests have complimentary access to a stand-up paddle board. Hope Town Inn & Marina is a colonial style hotel set behind its own marina - so there's a bit of a nautical theme. Most rooms have kitchens, but the restaurant has a pretty delicious looking seafood menu. As well as being ideal for sailors, this is also a great spot for divers and snorkellers. 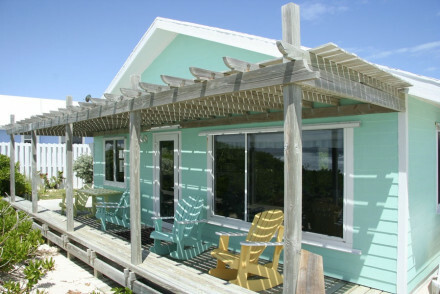 The Sea Spray Resort is on Elbow Cay on Abaco. Its collection of villas has got its own marina, along with a pool, sun terrace and excellent seafood restaurant. You're also well located for diving or snorkelling excursions, and you'll often find there's live music in the bar. Long Island’s Cape Santa Maria is a gorgeous hotel right beside an even more beautiful beach. As well as direct beach access there's a pool, gym and luxurious spa. There's also a fun Bahamian beach bar and good, local cuisine. Romantic, pretty and memorable. This is a great base for an active island break. Tiamo on Andros Island is a romantic beach retreat. Accommodation is in secluded cottages, some with private pools and hammocks perfect for dozing the afternoon away in. For a proper escape from everything try Long Island’s Chez Pierre with its six rustic style bungalows on stilts, right on a deserted beach. There are huge balconies for relaxing, plus a superb restaurant. Prices start from only £96 per night. 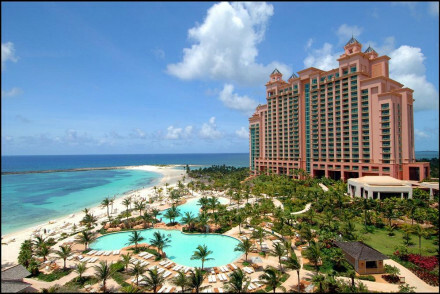 Nassau’s The Cove Atlantis is the ultimate family resort with its own cinema, casino, beach, water park and just about every kind of watersport or resort activity you can imagine. The Cove Atlantis is also big - so there's a huge range when it comes to restaurants and bars. There are also several kid's clubs. The Orange Hill Beach Inn in Nassau is a relaxed and friendly 33 room inn, converted, in a very Caribbean style, from an orange plantation. There are rooms with small kitchens, but there's also a restaurant. The Big Game Club is a family friendly five star resort on North Bimini, really just across the way from Miami. The decor is very traditional Caribbean - there's a lot of bamboo and palm trees. This is definitely one of the best places to stay in the Bahamas to relax and have fun with your family, and it's great value too. Cat Island’s Fernandez Bay Village is a collection of 18 charming, beachfront cottages with characterful interiors and large, private patios. There’s also direct beach access, a restaurant serving international cuisine and a popular Tiki Bar. Coral Sands is a stunning beach front hotel set on nine beautiful acres of Harbour Island, including three miles of white sand just in front of the hotel. Rooms are elegant and modern, and there's a library, billiards room and a superb French-Bahamian restaurant for the evenings. The Runaway Hill Club is a chic, beachfront hotel on Harbour Island, with modern, seaside-y, interiors. There are just eight rooms and you're right on the beach, so this is a romantic, and beautiful spot for a beach break. 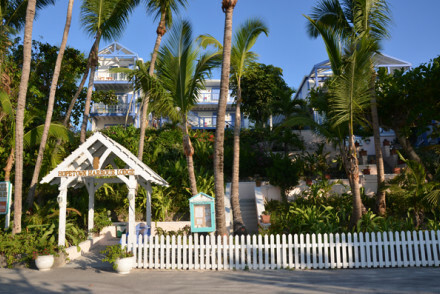 Cat Island’s Greenwood Beach Resort is a lushly pretty beachfront hotel with 18 tropical style rooms and plenty of charm. Secluded, idyllic and great value, this resort also has a great little restaurant serving local specialities and a friendly beach bar. Club Peace & Plenty on Great Exuma Island is a beachfront hotel with plenty of Caribbean charm and a good Bahamian restaurant. The accommodation is comfortable and they are in a great location to offer an excellent range of excursions on the Exuma Cays. 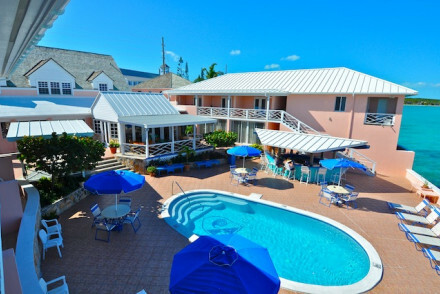 Nassau’s Compass Point Hotel is a collection of 18 funky Caribbean-style apartments with direct beach access. 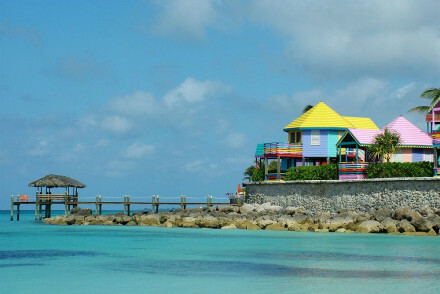 The Compass point also has a great beach bar and a fantastic restaurant which offers both Bahamian and international cuisine. 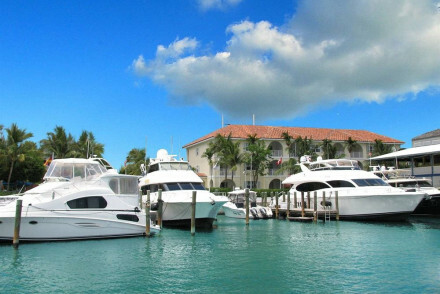 Nassau’s Paradise Harbour Club is a collection of apartments just behind their own marina. There are beautiful views, there's a pool, hot tub and sun terraces, and kitchens, but no restaurant. 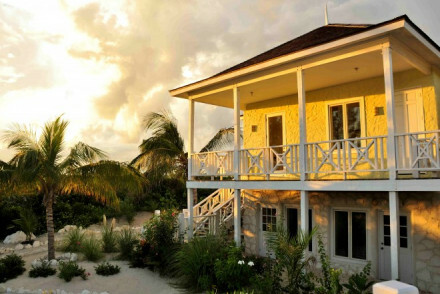 Eleuthera’s Pineapple Fields is a collection of homely, modern villas right by the beach. The friendliness of this hotel, and the generous sized kitchens and living areas in the villas, makes it easy to feel at home here, albeit with a garden that's likely more tropically-beautiful than the one you have at home. It's easy to charter a boat from here, and there's great fishing. It's also great value. 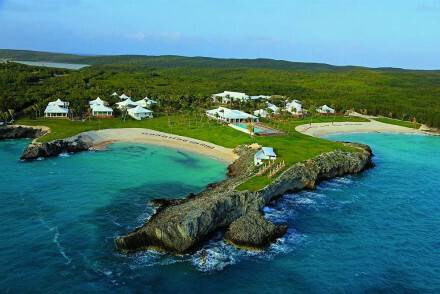 Or there’s Coral Sands, also on Eleuthera, which is a stunning, but peaceful 39 room hotel set on nine acres of tropical garden. The rooms are elegant, with a modern tropical feel, and there’s a lovely pool, a library, billiards room and a French-Bahamian restaurant. 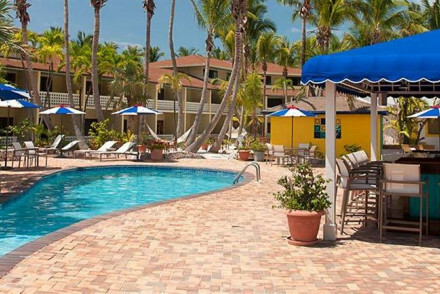 Cat Island’s Orange Creek Inn is a collection go no-frills beachfront apartments with stunning views and simple interiors. There are kitchen and dining areas plus laundry facilities and an ice machine. You also have direct beach access. Rooms start from around £70 per night. 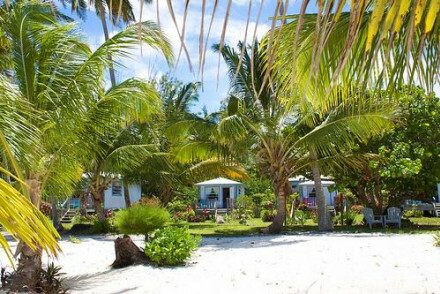 Chez Pierre has just six rustic style bungalows on stilts, right on a deserted beach. There are huge balconies for relaxing on, plus a superb restaurant. And prices start from only £96 per night. 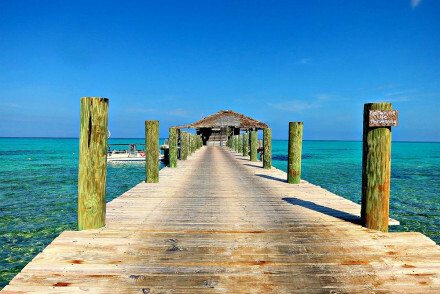 Great Exuma’s Staniel Cay Yacht Club is a collection of pretty, colourful beach cottages with a barefoot-boutique feel and easy marina access. There are just 14 rooms and all guests have complimentary access to a stand-up paddle board. Nassau's Lynden Pindling International Airport is the largest airport in the Bahamas, but your other choices when it comes to international airports are Grand Bahama International Airport and Exuma International Airport. It’s relatively easy to island hop via plane if you want to, though it’s quite something to travel on the water. If you want to hire a car we recommend you visit our online partner,Rentalcars. 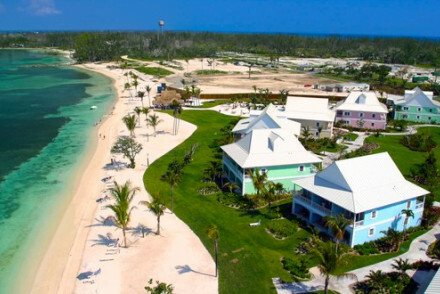 Still not sure which is the best place to stay on the Bahamas for you? Grand Bahama or the Exuma Islands? Romantic beach resort. The cottages are decorated in contemporary eco style with wooden floors, large private terraces and slick stone bathrooms. Outdoor pool, gym, spa, library and beach access. Sublime Caribbean fusion menu, with emphasis on locally sourced. Secluded, quiet and picturesque. No frills beachfront apartments with stunning views. Interiors are simple but provide kitchens and dining areas plus laundry facilities & an ice machine. Direct beach access, games room and grocery store. Superb value and very quiet. Charming hotel on the beach on Grand Bahama Island. Simple rooms have balconies, tiled floors and some with small kitchenettes. Outdoor pool, garden and dive shop. Good seafood menu and buzzing bar with live music. For location and amenities, ideal for those wanting to learn or improve diving. Charming apartments with marina. Rooms are colourful and bright, with tiled floors, large dining areas and full kitchens. Outdoor pool, sun terraces and hot tub. No restaurant, but groceries can be arranged by hotel. Superb views and good value for money. Family friendly 5* beach resort. Decor is Caribbean colourful with artworks on the walls, bamboo furniture and private balconies. Outdoor pool, massage treatments, games room and private marina. Relaxed seafood restaurant. For location and activities, an outstanding hotel. Pretty beachfront hotel. Rooms are spread across the gardens, and interiors are decorated with princess-net beds, bamboo furniture and patios. Outdoor pool, direct beach access and games room. 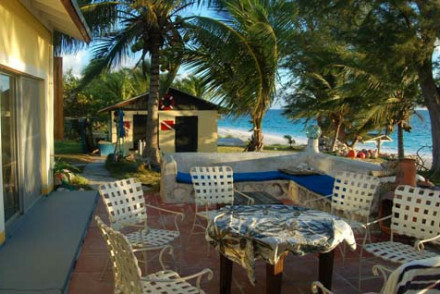 Restaurant serving local cuisine and beach front bar. Secluded, idyllic and good value. Beach front inn on former orange plantation. Rooms have pine furniture, tropical print fabrics and studios with small kitchens. Outdoor pool, sun terrace and lounge. Restaurant serves good Bahamian and continental food. Relaxed, secluded and family friendly. 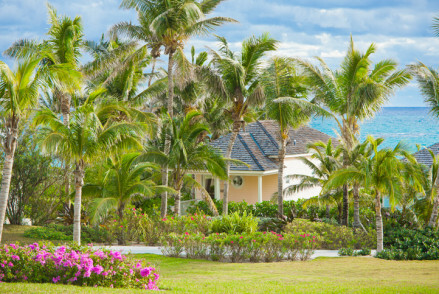 Lovely beachfront resort on Abaco. Rooms have tropical print fabrics, hammocks and large balconies. Outdoor pool and manicured gardens, beach access. Villas have kitchens. Outstanding seafood cuisine and sunset-facing ambient bar. Plethora of watersports on the doorstep; great choice for groups. Colonial style hotel on its own marina. Charming rooms have exposed beams, creamy walls and modern nautical furnishings, most with kitchens. Outdoor pool, sun terrace, marina access. Fresh seafood menu and Bahamian cocktail bar with live music. A lovely choice for families. Charming beach front hotel. Elegant rooms feature Caribbean furniture, four poster beds, large balconies and some with sitting rooms. Outdoor pool, gardens, library and massages available. Good Bahamian cuisine and lively bar with live music. Superb location to explore the islands from. Six rustic bungalows on the beach. Interiors are lovely with wooden floors, big wraparound balconies and tropical print furnishings. Superb restaurant serving fresh seafood and locally sourced produce. Great value; a total hideaway. 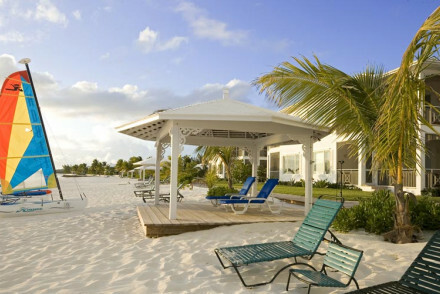 Elegant hotel just metres from the beach on Grand Bahama Island. Rooms have an eco feel, with tiled floors, mahogany four posters, and characterful extras. Three outdoor pools, spa, gardens. Tropical fusion menus, and ambient outdoor bar. Romantic, laid-back and excellent location. Rustic beach front cottages. Decor is charming with wooden floors and beamed ceilings, private verandahs and ocean views. Excellent international menu in the friendly restaurant and bar. Gardens with an abundance of wildlife surround this secluded and peaceful hideaway hotel. 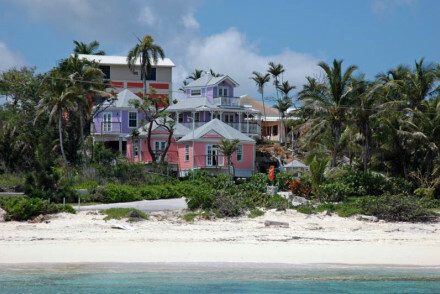 Villa resort with marina on Elbow Cay. Rooms are contemporary with tiled floors, large balconies and kitchens. Outdoor pool and sun terrace. 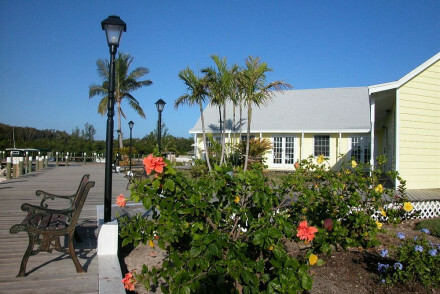 The Boat House restaurant serves good international and seafood cuisine, often with live music. Quiet with excellent location. 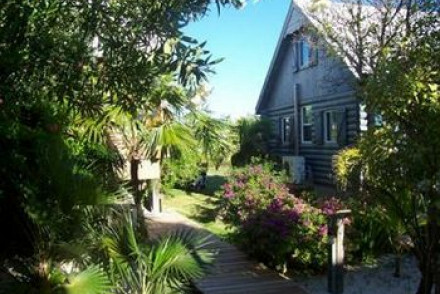 Pretty hotel with spectacular Atlantic views on Elbow Cay, off Abaco. Rooms have terracotta floors, French doors with balconies and pine furniture. Outdoor pool, garden and library. Superb dining with views across the harbour. Idyllic, friendly and quiet. Homely villas near to the beach. Interiors are contemporary with tiled floors, white wooden furniture, full kitchens and artworks. Outdoor pool, tropical gardens. Excellent seafood in the laid back popular restaurant. Friendly, pretty and good value. Pretty colourful cottages on the beach. Interiors are barefoot-boutique with rainfall showers, wooden floors, large verandahs and modern bathrooms. Outdoor pool, gardens and marina access. Tasty Bahamian cuisine and relaxed beach bar. Superb spot to explore the islands from, and family friendly. Secluded island resort on the beach. Rooms are full of character with opulent fabrics, nautical accents and Caribbean dark wood furniture. Outdoor pool, gardens and library. Excellent Bahamian cuisine in ocean front restaurant. Quiet, idyllic and friendly. Friendly resort on private beach. Elegant rooms have large verandahs, cream furnishings and lounge areas. Outdoor pool, spa, gym, complimentary watersports. Terrific seafood menu and BBQ beach bar. Ideal for families, with a very intimate feel. Simple clapperboard cottages on a private beach. Interiors are cozy with pine tongue & groove walls, large private sundecks, kitchens and tiled floors. Outdoor pool, BBQ area and library. Light snacks available from friendly beach bar. Very secluded, lots of space and superb beach. Colourful beach front apartments. Rooms are in colonial style with white shutters, large verandahs and small kitchens. Outdoor pool, hot tub and beach access with pier. Fantastic Bahamian and International cuisine, oceanfront bar. Low-key, superb location and good value. Gorgeous hotel in prime beach location. Interiors have creamy furnishings, tiled floors, rattan and mahogany furniture; villas have modern kitchens and dining areas. Direct beach access, gym, spa treatments. Good Bahamian cuisine and beach bar. Romantic and pretty. Limestone inn near the beach. Contemporary suites feature large bedrooms, living areas with mahogany furniture, modern kitchens and verandahs. Lush gardens, friendly service. A few minutes walk from the beach and all its activities. A fine choice for a family. Stunning beach front hotel in 9-acres. Elegant rooms have wooden furniture, modern tropical print furnishings and white shutters. Outdoor pool, gardens, library and billiard room. 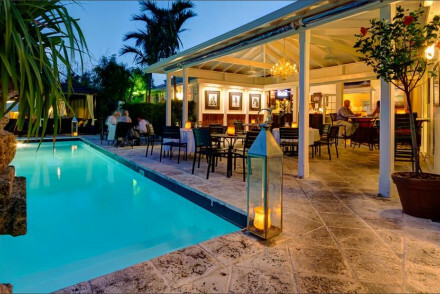 Superb French-Bahamian menus and laid-back bar. Charming, opulent and peaceful. Beautiful apartment resort on the beach. Interiors have tiled floors, rattan furniture, modern artworks and kitchens. Outdoor pool, manicured gardens, beach access and gym. Great international and seafood cuisine in beach front restaurant. Stunning views, outstanding beach and friendly service. Charming beach front cottages. Interiors are full of character with stone walls, tiled floors and bamboo furniture, large private patios. 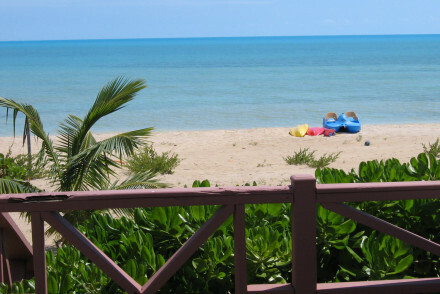 Beach access, garden, popular tiki bar and good international cuisine from the restaurant. Family friendly, pretty and quiet. Stunning villas on private beach. Contemporary rooms feature enormous living rooms, mahogany furniture, large bathrooms and kitchens. Superb seafood cuisine in popular restaurant, ambient bar. Luxurious, glamorous and chic. Gorgeous beach front hotel. Contemporary rooms have light wooden floors, big verandahs, marble bathrooms and wonderful views. Outdoor infinity pool, gym, lush gardens and spa treatments. Excellent Bahamian cuisine. Luxurious, sumptuous and relaxing. Luxurious beach hotel. Individually designed rooms have creamy walls, modern artworks and mahogany furniture. Heated outdoor pool, direct beach access, orchid gardens and gym. Outstanding modern cuisine and slick bar. Effortlessly chic and boutique stay. Chic beach front hotel. Interiors are contemporary with dark wood furniture, seaside touches and enormous bathrooms. Outdoor pool and library, direct beach access. Excellent Bahamian cuisine in the ambient restaurant. Romantic, laid back and cool. Characterful 5* hotel in town centre. Rooms have antiques, opulent fabrics, chandeliers and four poster beds. Two outdoor pools, gym, spa treatments, gardens and sun terrace. 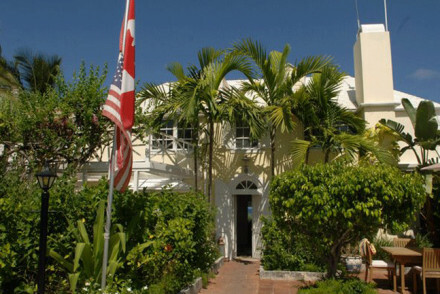 Excellent Bahamian cuisine, extensive wine cellars and cigar factory. Unusual, luxurious and unique. 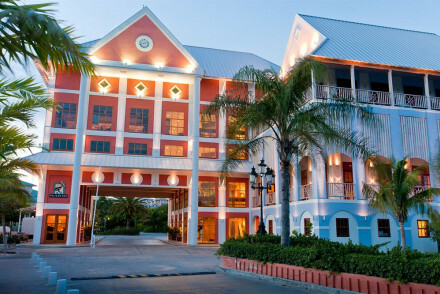 Sights nearby - Hotel overlooks the Government House in the centre of Nassau. Private island luxury beach resort in 100 acres. Elegant rooms feature private terraces, high beamed ceilings, nautical touches and huge bathrooms. Outdoor heated pool, tennis court and ocean front spa. Fantastic Caribbean cuisine, and two breezy beach bars. Luxurious, exclusive and laid back. Gorgeous 5* beachfront hotel. Creamy rooms feature rattan furniture, large balconies, chic nautical furnishings and big bathrooms. Outdoor infinity pool, gardens, private beach. Outstanding menu from Peru, France and Asia; romantic bar. Boutique and luxurious. 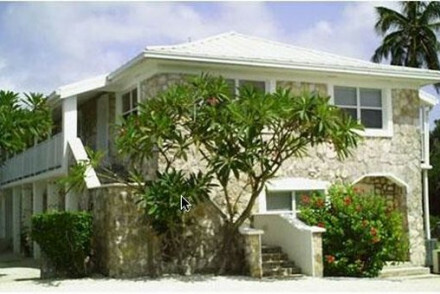 An elegant island retreat for the sophisticated traveller, far from the tourist crowds of Nassau. Simple chic Eastern style architecture is set off by earthy bamboos, custom-made wood furniture, neutral tones and stunning tropical gardens. The spa and fitness facilities are the best on the island. Sumptuous beach front resort. The cottage interiors have mahogany furniture, wooden floors and shutters and lovely private decks. 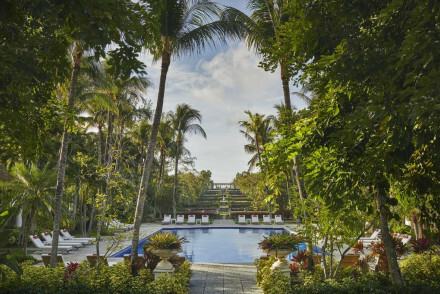 Outdoor pool, gym, 26-acre garden, private beach and library. Superb locally sourced menu, slick bar with wow-factor chandelier. Romantic, luxurious and chic. Ocean front cottages. Colourful rooms feature tropical print fabrics, Andros pine furniture and private patios. 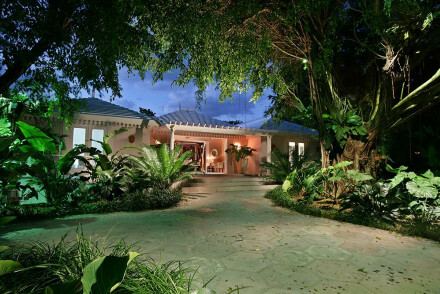 Lush gardens, private beach, games room and library. Great Bahamian and international menus, sociable bar lounge. For diving and fishing enthusiasts, this is the one for you. Expansive resort on the beach. Elegant rooms are in creamy shades with sea view balconies and big bathrooms. Outdoor pool, beach access, tennis courts, gym, spa, water park, cinema and casino. Excellent International cuisine, both gourmet and light. With so much to do, perfect for families. The most glamorous glamping site in the Caribbean. 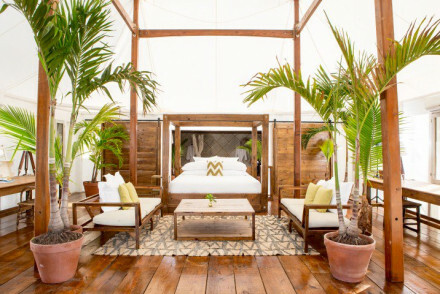 These indulgent tents offer hardwood floors, Berber-style rugs, vintage record players and magnificent four-poster beds. The restaurant is phenomenal and the bar boasts an extraordinary array of drinks! 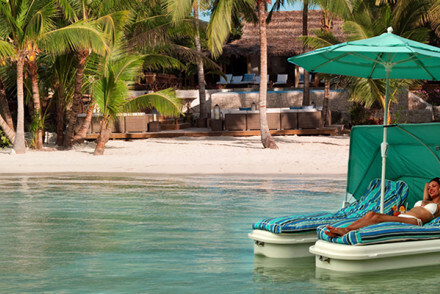 Unwind in Robinson Crusoe style luxury. 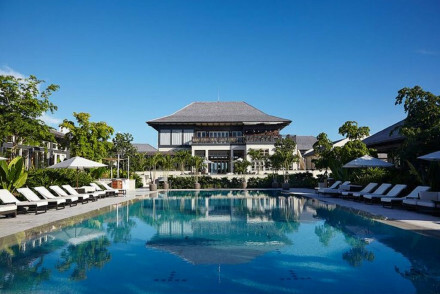 This Four Season luxury resort is the epitome of Bahamian style. The luxury suites and villas offer louvered hardwood doors and private balconies. The service is truly remarkable, and often friendships are created that draw guests back again and again. The gardens and restaurant are show stoppers. Tennis coaching - Their in house pro Leo Rolle has been coaching there for 50 years- and there's a reason they have held onto him!